Real estate investors often prefer to invest in single family homes because they feel a single family home holds its value, it can demand higher rent and they only have to deal with one tenant. A multi family home is a 2-4 family residence and there are advantages to owning this type of real estate that far outweigh single family rentals. Multi family homes offer more than one income source with multiple tenants which provides some stability to the owner should one unit be vacant or one tenant defaults on their rent. With a single family home, if the property is vacant or the tenant does not pay, the owner is stuck handling the expenses on his own. Investing in a multi family is one of the most powerful real estate investment strategies that a person can use to create consistent cash flow each month. The rents that come in minus the expenses should provide a profit each month. Often a three or four family home could still provide a profit even if one of the units is vacant. Normally a single family home will only break even the first couple of years with rent, upkeep and expenses. One of the advantages of buying a multi family home is that it makes it easier to manage the property rather than having several homes spread across the city. The expenses are less as well since there is only one roof, one exterior, one yard, etc. Maintaining the multi family home will not just make it attractive to tenants but it will also allow an investor to increase the rents which will increase the owner’s cashflow. It will also increase the value of the property since a rental property’s value is determined by the amount of income it produces. 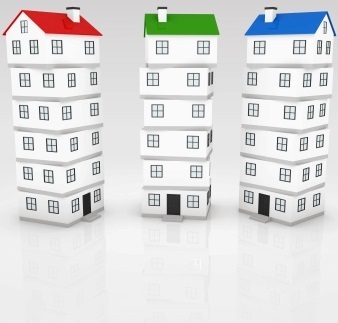 When looking for a sound real estate investment, an investor cannot go wrong with a multi family home. Be sure to consult a Realtor® to help you find multi families in your area, to assist you with calculating the income and expenses, and to determine the perfect investment for you!